A country of culture, rich history, vibrancy and charm, it’ll come as no surprise that China is home to a myriad of ancient traditions. Find out more about what makes this destination so full of wonder with this amazing nine-night tour. Starting in Beijing and ending in Shanghai – with a trip to Xi’an in between – this is a wonderful way to delve into three diverse cities. With activities and attractions including the Forbidden City, the Great Wall, learning to cook dumplings and riding a rickshaw through Beijing, this is certainly a memorable insight into this incredible country (TT). Upon arrival in the city, you will transfer to your hotel ready for a Welcome Reception with drinks and appetisers with your Travel Director. 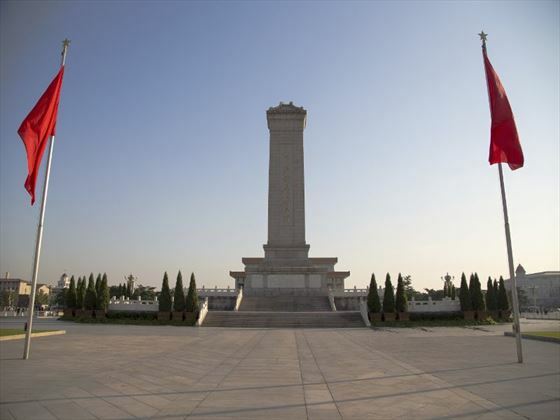 Today you will get a taste of the city with a trip to one of the world’s largest public areas – Tiananmen Square. Home to the National Museum, the Great Monument to the People’s Heroes and the mausoleum of Mao Zedong, there’s plenty of cultural attractions to discover. 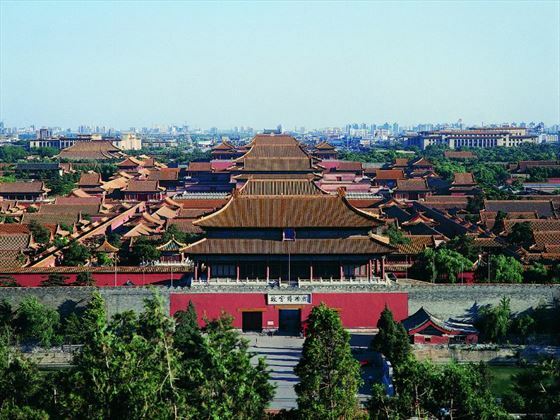 Next your journey will take you to the Forbidden City, filled with wonderful palaces, gardens, pavilions and courtyards. Once the imperial palace for emperors for more than 500 years, this location has earned its place as a UNESCO World Heritage site. 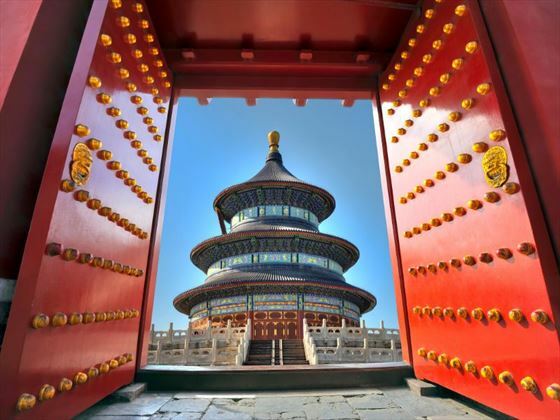 Once you’ve enjoyed a quick lunch, you will carry on to another UNESCO site – the Temple of Heaven. This astonishing temple is visited by the emperors of the Qing and Ming dynasties for annual ceremonies of prayer to heaven. In the evening you’ll be treated to a sumptuous Peking duck regional meal. This delicious dish is a must when visiting the city. 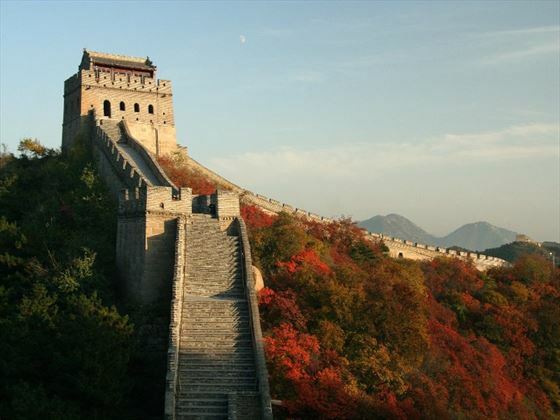 On day three you will venture outside of the city to visit the iconic Great Wall of China. You’ll then stroll along the Sacred Way to the amazing remnants of the Ming Tombs – which was once the luxurious burial chamber of 13 emperors of the Ming Dynasty. The morning is free for you to spend as you wish. You’ll then join in with a unique tour around the alleyways of the courtyard Hutong residences on board a rickshaw (a three-wheeled cart). The tour will stop by a local family home for a delicious lunch, before carrying on to a quaint tea house to learn about the historic tea making ritual and try one of the delectable teas. In the afternoon, you’ll feel spoilt as you indulge in a soothing foot massage at the Foot Reflexology Centre. In the morning you will board a short flight to Xi’an. 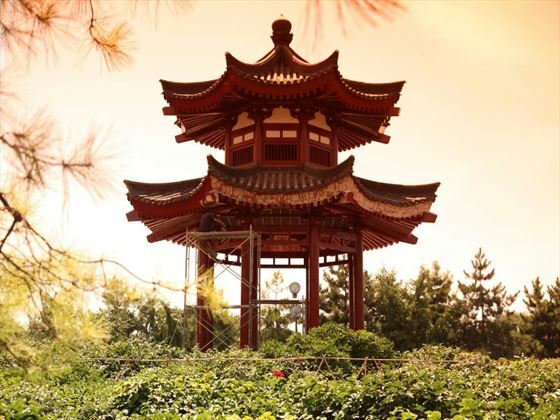 Once there, you will travel to the Big Wild Goose Pagoda, renowned as one of the city’s most spectacular landmarks and one of the Silk Road UNESCO listed sites. Choose this tour during term time, and you’ll get the chance to visit a local primary school. Meet the children and learn a few words of Chinese who will happily practice their English with you. 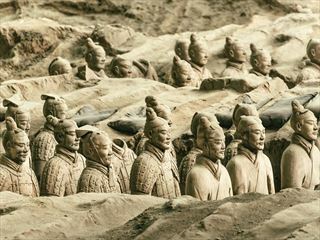 Next up is the iconic Terracotta Warriors, a UNESCO World Heritage Site home to an amazing collection of statues that depict the armies of Qin Shi Huang. Lunch is a flavourful dish of authentic Chinese noodles, getting you ready for an afternoon at a Jade factory. This morning you’ll have a couple of activities to choose from – either joining a T’ai Chi class with a local specialist, or taking a cycle tour around the ancient City Wall of Xi’an. Lunch is a fun experience today, visiting a local restaurant to watch a dumpling demonstration, and tucking into the deliciously fresh treats yourself. Afterwards, you will fly to Shanghai and discover the amazing Jinmao Tower – the 11th tallest building in Asia that boasts impressive views of the city. Start the day with a walk along the city’s famous ‘Bund’ with a local guide. This picturesque waterfront is adorned with a lovely blend of colonial buildings and ultra-modern high-rises. 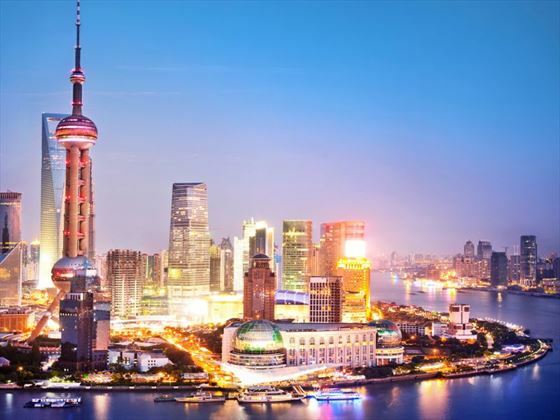 You’ll then continue to Old Shanghai, an utterly charming destination characterised by its winding streets and lively markets. 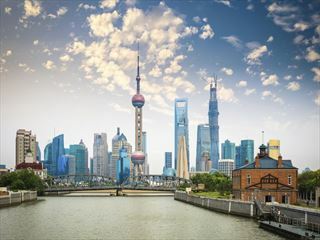 There’ll be a little bit of time for you to shop in the Old Town at your leisure, before heading to a silk museum and enjoying a performance by the Shanghai Acrobatic Troupe. Today is free for you to explore the city at your own pace. We’d recommend travelling to Zhujiajiao, a vibrant market town that’s very popular in China thanks to its historical rice shops, spice shops and banks. After a day of leisure, you’ll meet with your group for a farewell dinner. The tour ends today. Transfer to the airport for your onward flight. 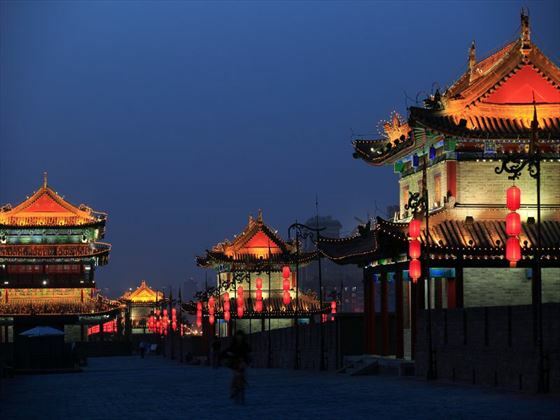 Discover some of China's most exciting and cultural cities - including Beijing, Shanghai, Chengdu and Xi'an - on this wonderful 16-night tour. 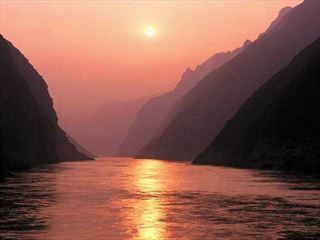 You'll even have the opportunity to cruise along the Yangtze River, admiring the breath-taking Three Gorges, as well as exploring the Terracotta Warriors, the Great Wall, and Chengdu's Giant Panda Breeding Research Base.